As you can see Bentley is quite relaxed in the motor home and catching as many ZZZZs as he can. Actually all of the kitties are feeling quite at home on our trip. 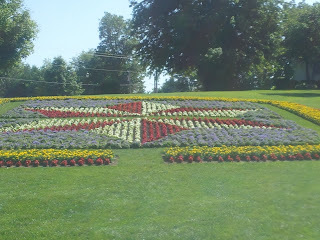 We spent Wednesday in and about Shipshewanna and Middlebury just seeing what was around. We went to the Shipshewanna Flea Market and Auction which was very large and packed with people. It only occurs on Tues & Wed and there were hundreds of vendors. 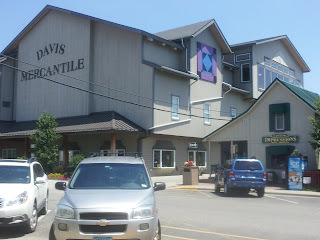 We found a couple of small bargains and then went to the Blue Date Restaurant (www.BlueGateRestaurant.com) for lunch. David had Chicken and noodles with potato salad and I had the grilled meat loaf sandwich with Amish potato chips. The meal was wonderful. Of course we had to follow it up with an Apple Dumpling with ice cream for David and Coconut Pie for me. YUM!!!!! Of course after that we were useless for the day. After lunch we went to Yoders. It's a department store with clothes, shoes and a fabric store on one side and hardware and grocery store on the other. The fabric was top quality brands and reasonable prices. They had a large inventory for a dept. store. On Thursday morning we went back to Das Dutchman Essenhaus for breakfast. 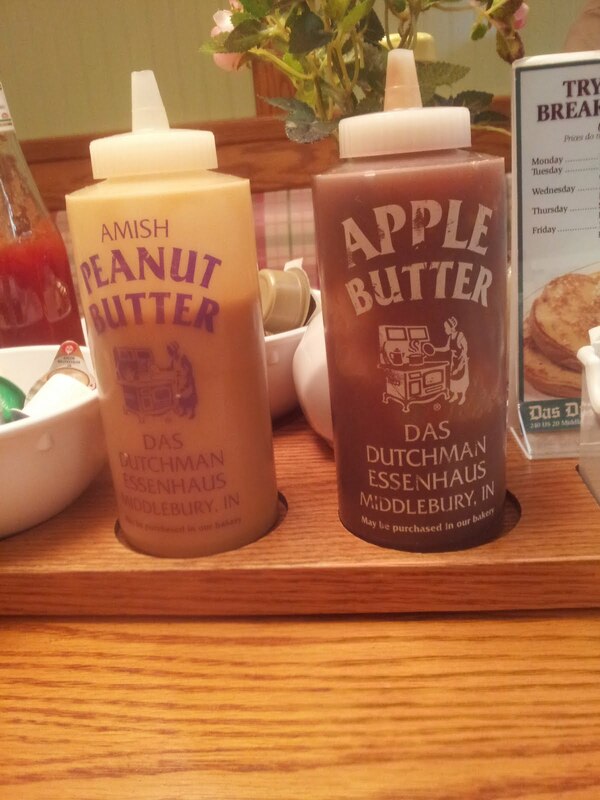 It was very good and all the tables has apple butter and peanut butter for their toast and biscuits. We had tine to walk around the village shops and found some very cute items and some pricey prices. The Quilt Shop was not good at all. They had a few pre-made items and almost no fabric. The week before we arrived they had a quilt festival here which was probably very nice and very crowed. They also have all around the area a Quilt Garden Tour where various shops and businesses have planted quilt block patterns in flowers or painted murals on the side of buildings. We did find a few as we rode around--but too lazy to just ride around looking for them. This was outside DDE Village shops. I'm not sure what that pile of stuff is underneath. This was the pinwheel block in the back of the village shops. Then we went to Davis Mercantile which houses several businesses including Lolly's fabrics. Lolly's was very modern and had a nice selection of top quality and the latest fabrics. Notice the quilt mural on the side of the building. 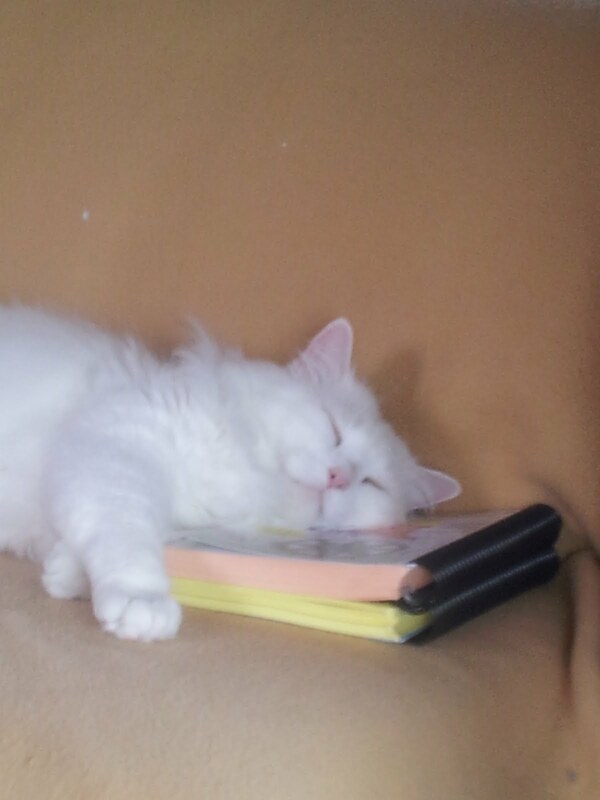 Lolly's even had a copy of Kathy's book "Sweet and Simple". We also discovered the basement had a sale room of very nice fabrics. 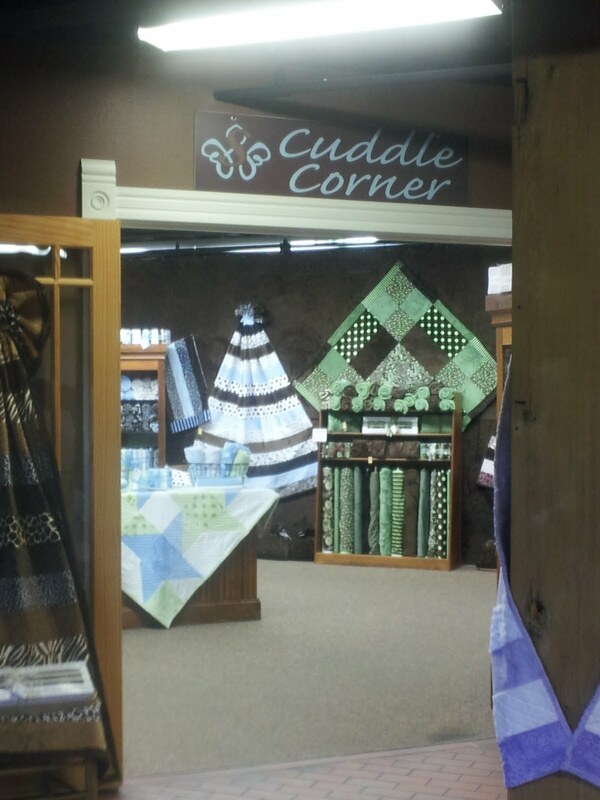 They even had a quilt shop dedicated to and only selling Minky fabric called the "Cuddle Corner". After Lolly's we went to Kukui's Hawaiian Shaved Ice for a treat. It was soooo good. 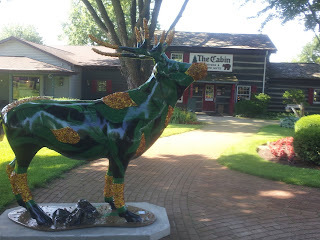 On the way home we stopped at Yoder's Red Barn which had Yoders Meats. This place was incredible. Lots of fresh meats and cheeses of every type. We had to purchase some fresh smoked bacon and fresh jalapeno sausage for cooking in the MH. It was a long day, but couldn't wait to get home and work on my quilt projects. 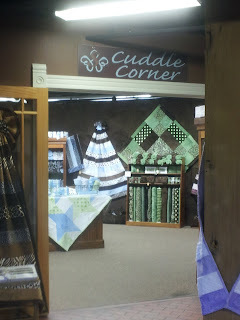 Just wandering thru the quilt shops made me want to just go home and quilt.